So, first and foremost, I want to thank the guys over at Hedgehog Development for developing this wonderful tool TDS (Team Development for Sitecore) for the Sitecore community. In my experience, it is not just a handy tool in the toolbag, it’s now become a way of life and is on my best practices list where I just don’t see myself ever developing without it (unless I have to…boo!). There are many features, but the one I love the most is the ability to do code generation utilizing Glass.Mapper as the ORM. What might take you days to develop models for your Sitecore templates depending on how many templates are in the Content Tree, takes only minutes with TDS code generation. This is definitely a time saver for your development team, and once you have developed with it before, and try to build out models in MVC on your own, you will quickly realize you were spoiled with TDS code generation. It’s definitely a return on investment in terms of saved development time for your development firm and I highly recommend! Using this ViewModel I can inherit all the properties of the Item AND create additional functionality such as getting the children of the Navigation_Folder now. Glass.Mapper makes this so easy for us. However, be sure to add the [SitecoreChildren] configuration attribute! Otherwise, the Children property will always come back “null” and you will be scratching your head as to what is wrong. Here is more on children if you are interested. So, you can see you can use a ViewModel to gain the additional functionality you need while still using TDS code generation and Glass.Mapper. 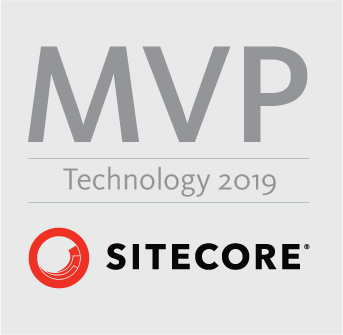 Overall, TDS code generation, Glass.Mapper, and ViewModels in MVC will have you doing your Sitecore development like a BOSS in no time! Happy coding! This entry was posted in Glass.Mapper, TDS (Team Development for Sitecore) and tagged code generation, Glass.Mapper, tds, view models, viewmodels on March 15, 2016 by Toby Gutierrez.